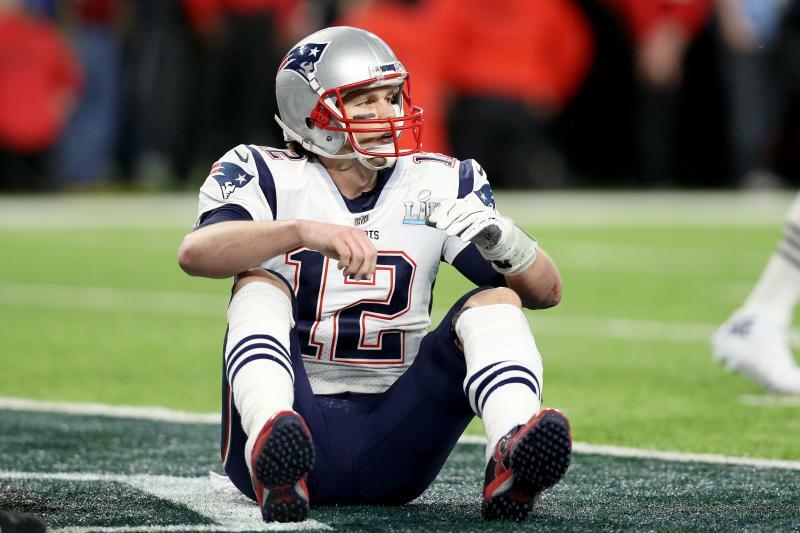 For Patriots fans, Monday was one of the rougher days this year. But with the team's Super Bowl LII loss now firmly in the rear-view mirror, it's time to look ahead to what's next. To claim a sixth Super Bowl title next year, New England will have to make some moves in free agency and through the draft. Tom Brady committed to returning in the aftermath of the Super Bowl, but the Pats still have to work towards an extension soon for the 40-year old MVP QB. And after rumors have swirled about tension inside the team, it's absolutely essential that the Pats secure a firm commitment from head coach Bill Belichick as well. Without these two, the team doesn't go anywhere. It's that simple. He just won his third NFL MVP. He just broke his own record for passing yards in Super Bowl history. He just fought tooth and nail to drag the Patriots back into a game their defense would have ordinarily lost a long time ago. He's also 40. Yes, everyone knows Tom Brady won't be around forever, and it's time for New England to get serious about drafting a replacement this time around. With picks 31 and either 41 or 43 (a coin flip will decide which one specifically), there's capital available. Players like Oklahoma State's Mason Rudolph or Washington State's Luke Falk could be potential solutions with that second pick. This one is practically a formality. Despite saving Super Bowl XLIX, Butler was benched for all of LII and clearly voiced his displeasure after the game. After trade rumors swirled this past offseason, and with Butler an unrestricted free agent anyways, he's as good as gone. New England will need a contingency plan, most likely including a high draft pick and/or free agent acquisition. Part of what's helped fuel the Patriots' remarkable recent success is their stability among coordinators--Josh McDaniels and Matt Patricia have been in place as the offensive and defensive coordinators, respectively, since 2011. They're both gone now. After Patricia officially becomes the head coach of the Lions and McDaniels becomes the head man in Indianapolis, Belichick will have to promote from within. As of now, linebackers coach Brian Flores and receivers coach Chad O'Shea are the favorites for a promotion, though some reports are saying Ohio State defensive coordinator (and former Rutgers head coach) Greg Schiano could be the next DC. Flores and O'Shea would help preserve continuity, while Schiano might fracture an increasingly stressed locker room. We'll have to wait and see.